In truth, it is possible to write the Other sensitively and convincingly, and this workshop can start you on the path to doing just that. Drawing on and updating work by Nisi Shawl and Cynthia Ward, authors of the acclaimed reference Writing the Other: A Practical Approach, this 3 day online course delves deep into learning this sometimes tricky skill. Authors Nisi Shawl and K. Tempest Bradford will combine lectures, discussions, and writing exercises in a safe, supportive atmosphere. The class will cover Stereotypes and Tropes related to Race and Ethnicity, Disability, Gender and Sexuality, Religion, Class, and more, plus strategies for building characters and worlds while avoiding engaging in stereotypes or cultural appropriation. We’ll also discuss Language and Description, Dialogue and Dialect, and How To Research The Other. The material covered in this course is similar to our previous 6 week classes, just heavily concentrated. This class is for writers who cannot commit to regular meetings over several weeks but can devote one weekend. The class fee is $275 + a service fee charged by the ticketing provider. There are 3 spots open for general enrollment. 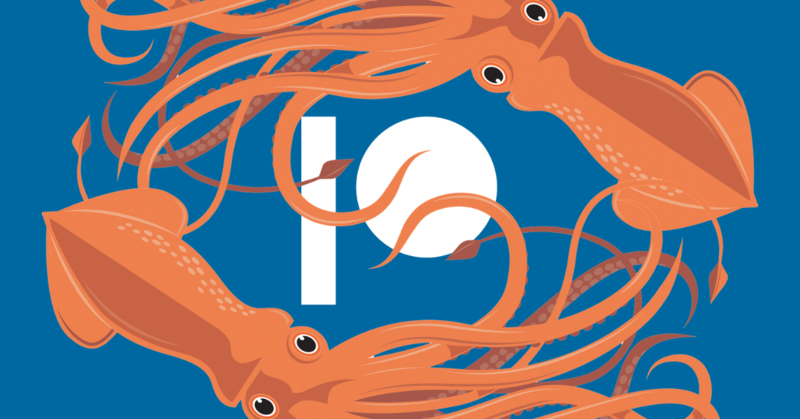 There are 4 spots available for Sentient Squid Scholarship recipients. See this post for details. Please be aware: we won’t decide who gets the scholarships until the first week of August, and the class is likely to be sold out by then. If you have the funds to attend and want to ensure a spot in the class, enroll asap. However, if you cannot afford the class fee, do not hesitate to apply for the scholarship. See the post for details on who should apply. Want a reminder when enrollment begins? Join our announcement list. If the class sells out before you can register, please contact Tempest to get on the waiting list. This class will take up the entire weekend, so please be prepared to set aside those days. Each day will have built-in breaks for food and other needs. You must have a Google account to participate in this class. Sessions are held in Google Hangout video chat and all classwork is submitted via a private Google Drive folder. We will send you links to access both the Hangout room and the Drive folder a week before class starts. A video camera is not necessary for class, but we do need to hear you. Please check and make sure Google Hangouts works on your computer prior to signing up for the class. You need an interest in writing, but you do not need to have written or published anything yet. Throughout class we will use your fiction for exercises and homework. This can be a short story, novelette, novel, etc. All students must be active participants in class. There will be lectures as well as in-class exercises and Q&A. Please purchase and read this book before class. Nisi Shawl is the author of dozens of short stories, many of which can be found in the James Tiptree, Jr. Award winning collection Filter House (also nominated for a World Fantasy Award). She is the co-editor of Stories for Chip and Strange Matings: Octavia E. Butler, Feminism, Science Fiction, and African American Voices. She edits reviews for The Cascadia Subduction Zone, a literary quarterly from Aqueduct Press. She is a founding member of the Carl Brandon Society and has served on the board for the Clarion West writing workshop. She developed the Writing the Other workshop with Cynthia Ward, and has taught it for over a decade in person, at conventions, and in a retreat setting. K Tempest Bradford is a speculative fiction writer by night, a media critic and culture columnist by day, and an activist blogger in the interstices. Her fiction has appeared in award-winning magazines such as Strange Horizons and Electric Velocipede and best-selling anthologies Diverse Energies, Federations, and many more. 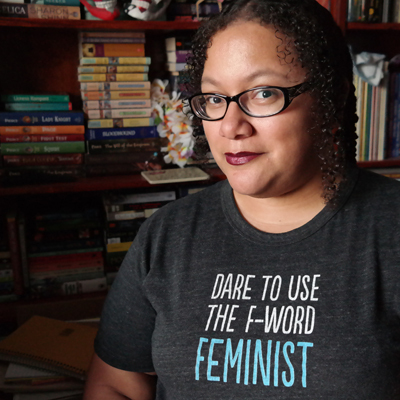 She has taught, alongside Nisi Shawl, Cynthia Ward, Mary Robinette Kowal, and David Anthony Durham, writing the other in online classroom and retreat settings. If you find that you need to drop the class, you may do so by contacting wto@ktempestbradford.com. If you drop by July 22, you will receive a full refund minus the service fee. If you drop by July 29 you will receive an 80% refund minus the service fee plus a chance to enroll in future Writing the Other classes at a discount before general tickets go on sale. 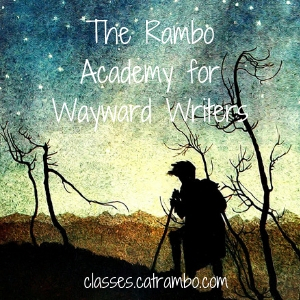 If you drop by August 5th you will receive an 40% refund minus the service fee plus a chance to enroll in future Writing the Other classes at a discount before general tickets go on sale. If you drop after August 6th you will not have your registration fee refunded as it will be extremely hard for a student to fill your space. However, you will be able to enroll in a future Weekend Intensive class for a 90-95% discount. Writing the Other is a registered service mark of Cynthia Ward and Nisi Shawl. All rights reserved. Used by permission.